Nose surgery also known as “rhinoplasty” is a popular surgical procedure designed to aesthetically enhance the size and shape of the nose and/or correct breathing problems associated with the nasal passage. As the central feature of the face, the nose plays a significant role in determining overall facial harmony. Rhinoplasty helps create a nose that is in balance with the rest of the face by correcting the unsatisfactory results of genetic deformities or traumatic nasal injuries. Rhinoplasty can be performed to meet aesthetic goals or for reconstructive purposes – to correct birth defects or breathing problems. To improve the nasal airway, the shape of position of the septum may be altered. Or, the deviated portion of the septum may be partially removed. After surgery, the patient has a straighter bridge, a well defined nasal tip, and an improved angle between the nose and upper lip. A. No, Anesthesia is administered throughout the entire procedure, so patients do not have to worry about feeling any pain or discomfort during surgery. A. Nose surgery generally takes two or three hours to perform, although the exact amount of time needed for surgery will depend on the specific corrections that need to be made. 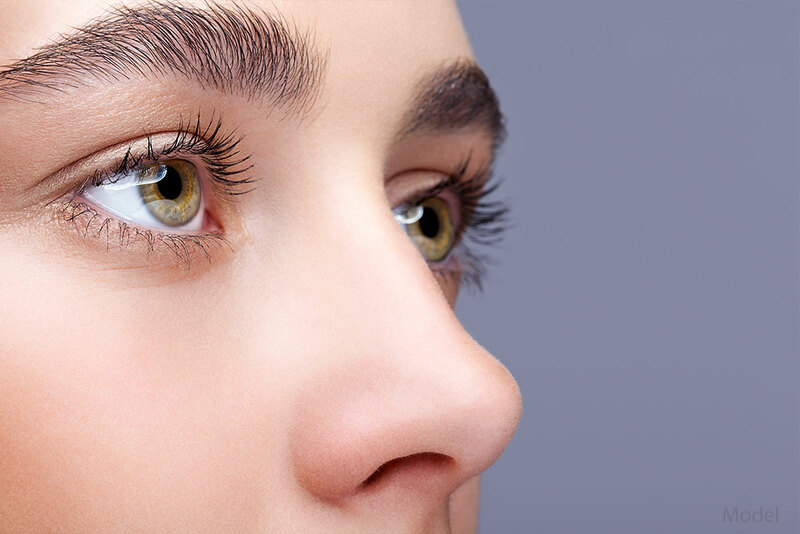 A. Rhinoplasty is usually performed on an outpatient basis. However, because you will still be under the effects of anesthesia after surgery, you will need someone to drive you home and assist you the day of surgery. A. Surgical procedures that require incisions generally leave some extent of scarring. However, incisions will be placed inside of the nose or on the columella, (between the nostrils) to ensure scarring is as inconspicuous as possible. A. Most patients will need about one week of downtime to recover from rhinoplasty, after which time they generally feel good enough to return to work. However, strenuous exercises and physical activities should be avoided until after Dr. Knowling determines that your nose has healed properly at a follow-up appointment. Have additional questions about the Nose Surgery (Rhinoplasty) procedure? Schedule a Consultation with Dr. Knowling for further information.